Shipping a classic car can be an incredibly nerve wrecking experience if you are unaware of what to look out for. Because of the rising values and investment potential in classics, you should be aware of each step of the journey your classic car will take on its way to the port. 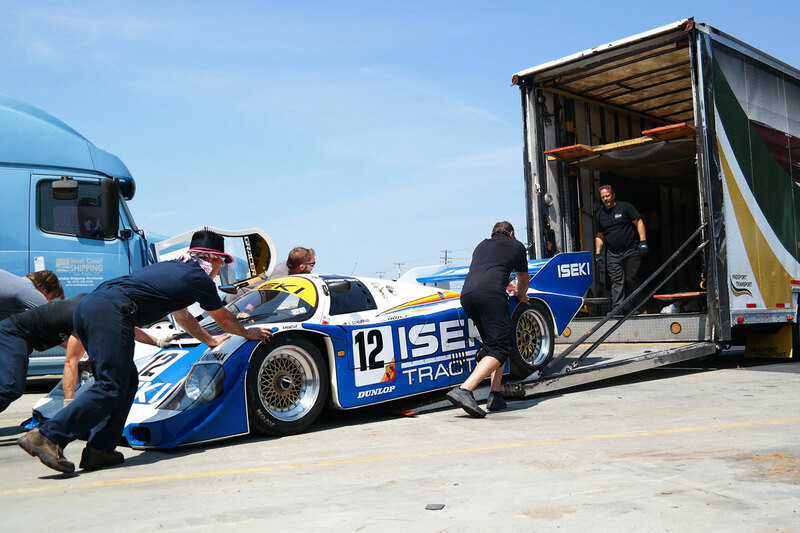 Our list of 7 tips for transporting your classic car will ensure you stay ahead of the game. Finding a reliable carrier for transporting your classic car to the port is probably the most important step. If you start working with a company to move your car, you better be sure they are fully insured, licensed by the Department of Transportation, and have great reviews from previous customers. Be sure to search their name in Google and see what reviews come up. Don't go trusting a company that has never touched classic car either, that can be cause for concern as well. Many transporters won't know how to drive a manual car on their truck, and most will want to save time and money by asking to use fork lifts which damage classic cars. 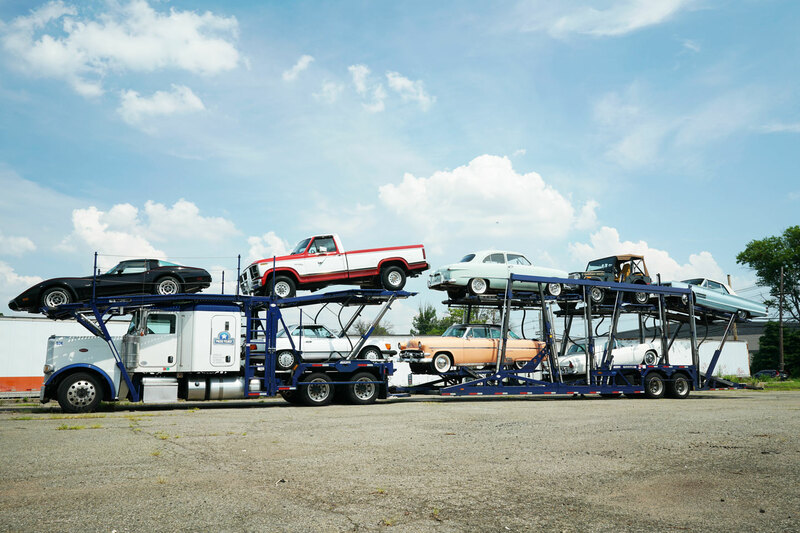 If it is your first time shipping your vehicle to the port, you may not know that there are numerous ways of having your classic car transported. Their is the option of having it go on an open carrier and an enclosed carrier. Now you can probably picture the difference between the two already. The open carrier, which you have seen plenty of times on the highways, are completely open to the elements, and they are loaded as tightly as possible along with other cars. As you can imagine, this won't be the top choice of someone transporting their pristine classic, but it is the cheapest option - saving up to 50% on the cost of moving your car to the port. Now for the enclosed carriers, they come in a variety of configurations. 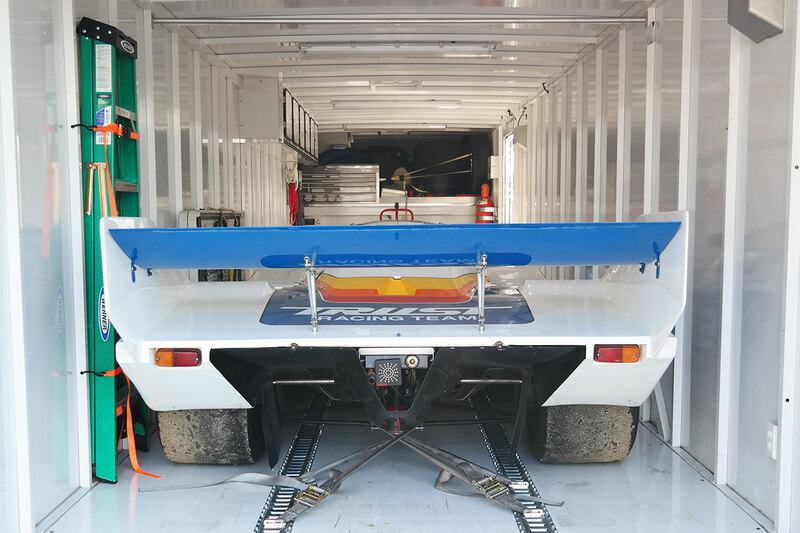 There are single car carriers, which are enclosed trailers capable of carrying a single vehicle, along with some extra tires and parts. Single carriers are the most expensive option considering they only car your car, and are unable to fit other vehicles. But they are the quickest option when you want to get your classic car to the port as quickly as possible because the driver will not be making any extra stops dropping off and picking up other vehicles. There are also the enclosed multi-car carriers which are capable of carrying anywhere from 2 to 6 cars in a single enclosed trailer! It is the option to choose when shipping numerous classic cars for export. Enclosed trucks operate along numerous routes, and can pickup and drop off cars at different locations along the way. However, they will not be able to fit any of your extra parts or tires. During your search for classic car transport, be sure to get a copy of the agreement and the carrier's insurance policy. The agreement will help you understand what they are responsible for during transport, and what they won't cover if anything goes wrong. Getting a copy of their insurance policy is a major step towards protecting yourself if anything goes wrong. Many carriers are only insured up to a limited amount, some $100,000 or a $1,000,000, while others have policies that protect them for tens of millions of dollars. Be sure your vehicle is covered. If you are transporting a highly-valuable Ferrari 250 GTO, then request that a custom policy is taken out. You don't want to risk skimping on insurance! 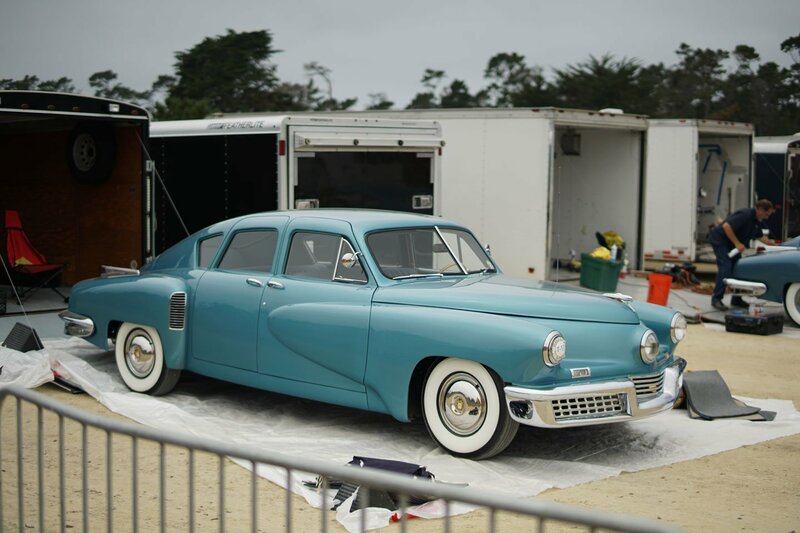 No matter the condition of your classic car, you should always prepare your vehicle to be transported. Check the oil, coolant, and other liquids to make sure they are there. If a vehicle has any issues please make sure to let the transporter know before he attempts to move the vehicle. You don't want the transporter to be surprised when he finds out the brakes don't work. Many transporters also preach that you must drain the fuel before shipping your car to the port. But this is not a necessity when shipping your classic car overseas in a container. The loading facility will be able to drain the fuel for you at no extra charge, so no need to get your hands dirty. Top tip: many multi-car carriers will avoid transporting your extra parts and tires because they are forbidden to do so by DOT rules. Even if they do agree to transport extras, they are never liable for them! However, many enclosed single-vehicle carriers are able to take parts as long as they fit. Just make sure to note them on the Condition Report which is created by the carrier when picking up your vehicle. If you have a lot of parts to transport to the port along with your vehicle, you will be shipping them via LTL Freight. You will need to have them palletized or crated. Then just let the shipping company know if the collection will require a lift-gate to lift the pallets or crates off the floor. Many shippers get anxious when their vehicles do not arrive to the port on time, but know that delays are common. Especially delays caused by mechanical issues or weather. Most of the time transit times are missed because of harsh weather conditions including hurricanes, snow, and flooding. Check the weather forecast before shipping your vehicle, you don't want to have the carrier stuck in a snow storm with your classic cars inside! 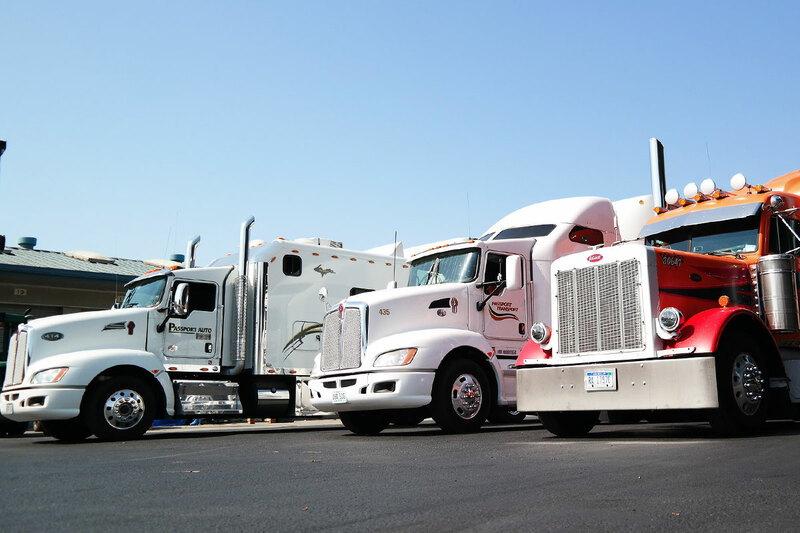 If a carrier does experience mechanical issues with their trucks, they should be able to reroute another truck to have your cars unloaded and on their way to you as quickly as possible. The best transporters will keep you updated on every step of your vehicles journey, and you will be the first to know if your classic car will be arriving late. Many shippers will be so excited to have their vehicles shipped that they would forget to inspect the car and not its condition. This is one of the top mistakes you can make, because what happens when your vehicle arrives damaged and the original condition was never noted? How will you claim that the trucking company was responsible when you have no proof of the original condition? 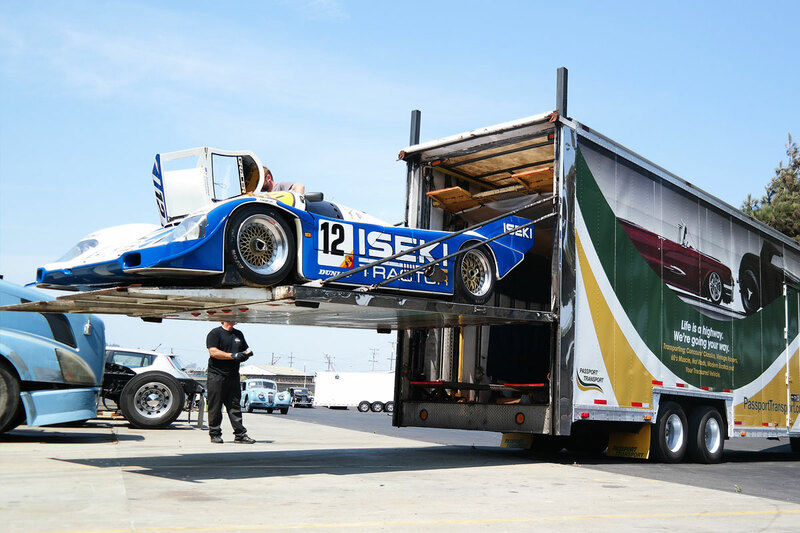 Please be sure to inspect your classic car before the transporter loads it onto his truck. Note every scratch, piece of rust, dent, ding, or missing part. Then sign off on it and get the transporter to sign the paperwork as well. By creating a condition report you making the transporter responsible for any damage that can happen during the journey.